Zhone Technologies Knows The Value of Barter. . . When pre-IPO Zhone Technologies purchased a 14.5 acre lot from the City of Oakland, it employed barter to close the deal, as the only sticking point was price. Zhone's offer of $9.50 per-square-foot didn't match the city's $12 per-square-foot price. The solution? The city accepted 100,000 stock warrants to round out the discounted cash price of $6 million, in exchange for the land. Zhone, which expects to go public next year, also used the same barter strategy when heavy rains and shortage of construction workers threatened to slow work on its headquarters. Zhone jump-started the process by adding 15,000 warrants to the normal pay rate! Asia4Sale.com has signed an agreement with the 200,000 member World Chinese Merchant Mutual Aid Union Association (www.worldsino.org) to promote e-commerce within China. The deal includes the establishment and operation of a barter company in China. Making the announcement in China, Brian Hodgson, President of Asia4Sale, declared, "We are very pleased to be working with the association, and strongly believe that there is a tremendous amount of trade which can be facilitated by our joint expertise. The network of showrooms in China established by the association, and our experience with the Internet, plus our affiliations worldwide will greatly boost China trade." Hodgson founded a barter exchange company based in Asia in early 1997 (www.barterasia.net). Subsequently it became a part of Asia4Sale, together with home shopping and industrial auctions. The Emerging Issues Task Force (EITF), also known as "the swat team" for the Financial Accounting Standards Board (FASB)--an independent body that does most of the SEC's guidance and rule-making dirty work--has resolved the barter advertising question on the Internet. This was done because the SEC felt immediate action was needed. In short, EITF says that an internet barter deal must be valued on a similar advertising deal transacted within the last six months, and one that involved actual cash. Otherwise, the company cannot book the revenue. Northwest Airlines is using scrip (a dollars-off voucher) which will be good for future travel when passengers are temporarily missing their luggage. The $25 voucher, along with a letter of apology, is an excellent "exchange" in that it promotes good will. It also provides a monetary link to the passenger holding the redeemable voucher...a value that can push the passenger toward Northwest, rather than another airline, the next time they travel. One of the leading barter sites handling surplus inventory and excess capacity, iSolve, has appointed Eric M. Weiss as the Chief Operating Officer of its barter division. Prior to joining iSolve, Weiss served as Executive VP and General Counsel of Active International, the world's largest corporate barter company. Working with Active International, Weiss negotiated many joint ventures and established foreign subsidiaries. He also led Active International's legal department and provided strategic counsel to the president and chief executive. Australia's Bartercard, www.bartercard.com.au, has just announced the acquisition of a major competitor, IBEX (International Business Exchange). 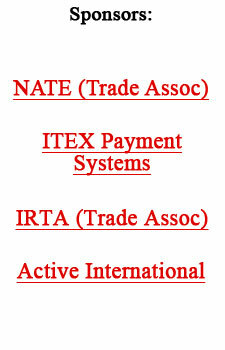 IBEX has 2,500 members and does $50 million of barter transactions (both sides) per year. Michael Touma's Business Barter Exchange (BBX) located in Hornsby (NSW), Australia, held their sixth Barter Expo last Wednesday. Within just over four hours some $2.6 million in barter had been transacted! Nearly 600 members attended the event on June 21, to secure some of the great inventories offered by the 103 member/exhibitors. A full dinner was included in the event. BBX, www.BBX.aust.com, has over 3,000 members. Cyfit.com, a personal weight loss and fitness counseling organization is bartering with 5B Technologies Corp. (Tony Little, a well-known fitness professional is their national spokesperson). Cyfit is developing an advanced web site where people all over the world can customize and track their own weight loss, fitness, and anti-aging program. 5B will receive 250,000 shares of Cyfit's common stock, plus an option to purchase 250,000 additional shares. Jasen Watkins, a 27-year old from Grand Blanc, Michigan, is going to be offering points (similar to air miles) with a twist. He's the founder of FreeTradez and his company is offering no-commission stock trades. How will FreeTradez make a profit? Through advertising and offering customers a Visa card that accrues points when used. The accumulated points will be redeemable for shares in companies! The members-only event was held April 21 at the Tovrea Mansion and included gourmet food and drinks, gaming tables, and a live auction. Trade dollars raised at last year's event were used to repair the air conditioner and plumbing at their Boy's House, and for the design and print cost of their annual report. The Barter Group has recently affiliated with Redwood Shores (CA)-based BigVine, an online barter marketplace. Manitoba's Kurt Refrick, a BarterNet affiliate, recently spent two days touring Western Manitoba. He talked with agricultural producers and processors to assess the potential for agribarter.